Valentine's Day will be here in just a few days and love is definitely in the air, but with the holiday is potential danger for your fur children. 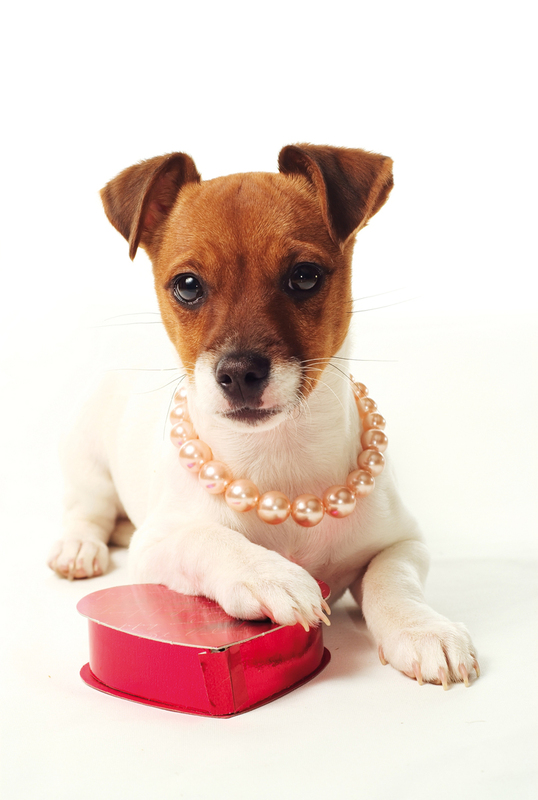 Here are a few thoughts to help you keep your pets safe this Valentine's Day while you enjoy one of the sweetest tasting treats and fragrant aromas of all holidays ---- CHOCOLATE and FLOWERS! Both of these indulgences can be extremely hazardous to pets. Last year, The American Society for the Protection Against Cruelty to Animals (ASPCA) saw a 74 percent increase in cases of chocolate ingestion in the week ahead of Valentine's Day. Animals are particularly sensitive to theobromine and caffeine, both ingredients in chocolate candies. We know that the darker the chocolate, the better for humans if we must enjoy it; unfortunately, the darker it is the more dangerous it is for your pets. The best tip here is to cover the candy securely and store it out of reach of the pets to avoid the urge to "sniff the location" and discover the prize. If you have feline fur kids, they have potential trouble surrounding them on most all the holidays, not just Valentine's Day. Most pet owners don't realize that all varieties of the LILY family are poisonous to cats. It really is not that florists don't want to sell dozens of roses this holiday, it's just that lilies add beauty to most every bouquet throughout the year. The hint here is to tell your spouse or significant other to avoid lilies in the bouquet, and if that doesn't work, take special note of the beautiful arrangement and discard those lilies just after you say "thank you" very sweetly! These measures should keep the furry valentines safe and well. If they do ingest anything harmful, call your vet or one of the emergency animal hospitals immediately. Fur Kids Use Information Technology Too!